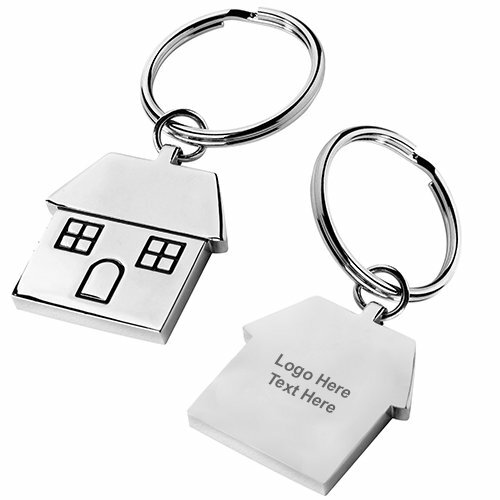 Promotional House Shape Metal Keytags are perfect for promoting homeowners insurance, realtors and also mortgage services. 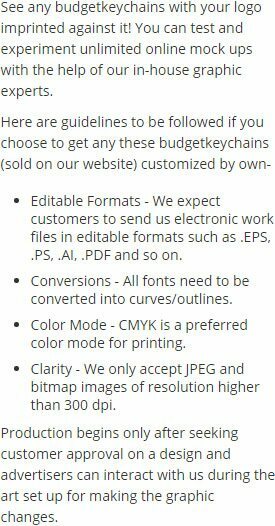 These custom keychains are having a total dimension of 1 1/4 x 3 x 0 1/8 inches and they will last with the customers for a long time, allowing your brand name to gain huge number of brand impressions. Imprint our brand logo or name into the 0.875" W x 1" H imprint space and witness the promotional impact these custom metal keychains bring. Order fast to grab our free design, free online proofs and pay only when the artwork is approved. Request a quote to know the value savings that you can avail on bulk orders of Promotional House Shape Metal Keytags. Product & Design Quality -Look great! Customer Service & Shipping - Arrived very quickly and customer service responded quickly to update my design that needed some tweaking.